This case study, Business Analyst Product Owner, is a part 2 of a series I am writing which follows Jane. Currently Jane is a traditional business analyst and we follow her as she is put into different roles within the Scrum team. within the scrum team. The things she needs to consider and when it will work for her and when it might not. We will follow Jane through this case study using some different personas which I hope will help you to understand and maybe even position yourself as a Product Owner. Before we understand how Jane can work and realign as a business analyst product owner we must understand the Product Owner role. Let’s break that down and see how this could work for Jane? What would Jane be naturally good at as a business analyst product owner? What is Jane likely to be good at as a business analyst product owner, perhaps with some mindset changes? The Product Owner is accountable for what work is done first and priority decisions made as needed. This may need a mindset change as Agile will break the deliverable items in a very different way to that which is expected of a Waterfall project. Agile takes a slice across the functionality and aims to deliver function to the end user in small iterations to maximise the benefits as early as possible. Waterfall will typically group things with a view to moving from one thing to the next until at the end of delivery there is something that can be released. This new focus and mentality may need a shift in the traditional business analysts mindset. Estimation and priorities are no longer Must, Should, Could, Won’t as they hold no intrinsic value and mean very little when taken in the context of a whole delivery or a sprint. With that prioritisation in mind one may never be empowered to understand the difference between a must in position 1 of their list to a Must in position 20. Priorities Must allow everyone to clearly see the priority of items in the list and with it be able to identify that work at the top of the list will be worked on first. There are a few ways to prioritise each with there own merits, the pictures below show the same fictitious list prioritised in different ways. Shows an intrinsic value representing a cost value to the business for each week the product does not have this feature – I prefer this though see 2) more often. So what challenges do we think will face our Business Analyst Product Owner? 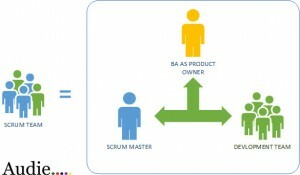 The change here is to have the Product Owner as the first and ONLY contact point for any changes into the Product Backlog. This can often be a challenge on both sides as the Traditional Business Analyst may not be ready for this nor may they have the right soft skills. Typically this can be as challenging to an organisation as going only to that person to negotiate changes when a CEO urgently wants a feature into the system they may be inclined to go straight to the Scrum team but this cannot be allowed as this will adversely disrupt the team. There needs to be this understanding from the Product Owner and the organisation to ensure this works as it should. Of course the development team may well have fun telling the CEO that they cannot talk with them and to repoint that person to the Product Owner; without prior knowledge that this may occur that could sully the relationship between the team and the CEO which probably is not a great place to be. 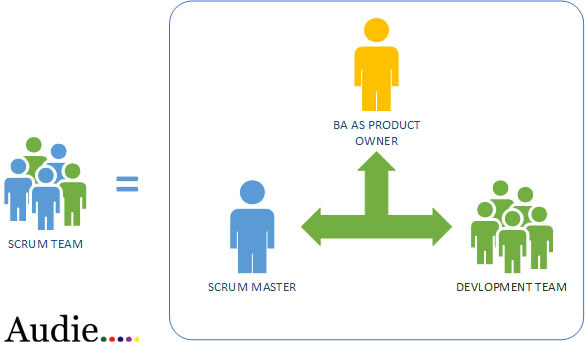 I think that one of the most natural fits for a traditional business analyst role when moving to Scrum is into that position of a Product Owner. I think Jane would be well suited there but needs to ensure that she is empowered to make decisions and respected enough to be allowed to do so with autonomy.